Photography is one of the hobbies that all of intentionally or unintentionally have. Some of us are professionals but all of us want good quality pictures for different purposes. Shooting ceative videos with Fisheye lens on your iPhone is a useful way to achieve the goal. A fisheye lens is used to capture wide angled pictures from 100-180 degree field perspectives. The term “fisheye” refers to the ability of fishes to see a wide view in the depths of the water, wider than normal human beings can see. Although there are many fisheye effects available they cannot alter the angle of view of the original picture. The fisheye lens allows you to capture wide angles of view and a mapping feature to capture convex non-rectilinear images. These are even available to attach to your phones to capture amazing and unique pictures without the hassle of carrying large cameras anywhere you go. In this article, we will share with you some of the best fisheye lenses that you can use in 2018 for your iPhone (from iPhone 5s to iPhone X）. Using FilmoraPro, videos captured with devices that record videos with two opposing 180° lenses, such as Samsung Gear 360, can be converted into the equirectangular form commonly used for editing this type of footage with a 360° Fisheye converter. Download the free trial version to try it yourself. Full-frame fisheye was made to cover the full frame wide angle perspective to cover the entire regular frame. Using a Fisheye len on your iPhone can help you to make many creative videos that don’t have the same monotonous style, for example, some musicians use these to make music videos which look very unique and eye-catching. Fisheye lenses are also great for analyzing weather and capture time lapse to observe different sky conditions throughout the day. For action shots, fisheye lenses are amazing to use as these can focus and zoom onto whatever you want to easily and retain that image for example while recording a skater while skateboarding. Now we have fisheye lenses that can easily be attached to our iPhones and are not impossible to buy as it does not require us to buy expensive cameras along with them. This way it is easier for you to discover even more possibilities that fisheye lenses can cover. Even for bloggers, these can be helpful to make newer and more innovative videos and capture even more attention of their viewers. There are a lot of other ways that fisheye lenses can be used, these do not restrict you but allow you to come up with even more ideas. As shown in the name, it is a box set which includes several lens such as fisheye, Macro magnification, and super-wide. This does not restrict you to just one lens but gives you other lens options as well. It provides you wider, clearer and great quality pictures that are beyond the naked eye can see. These images will be extremely detailed even if they are very zoomed in. This feature cannot be found in the ordinary lens as the more you zoom in the more pixelated they get. Using this Fisheye lens can capture action sports or creative portraits with spherical effects. However, this box set is only works with iPhone X, not available for the latest iPhone XS, iPhone XS Max and iPhone XR. This set includes Connect X lens systems and allows you to swap with other Connect X lenses. The great thing about this is that it is portable. This way you can carry it around anywhere you want and unleash great photo possibilities. You can capture moments with high definition and a different perspective. It works with both front and back camera. With maximum sharpness, it can take pictures with almost double the field view of an ordinary lens. You can even see textures, details on clothes and flowers 15x more than the human eye can see. This includes Fisheye, super wide, and macro lenses. All this at a great price. This comes with an iPhone case with the lens attached to it. This is a 3 in 1 lens kit at a very affordable price and is of course multi-purpose. This kit is an amazing investment and provides you with an array of different lenses and is also compatible with other phones. But most importantly is one of the best options for iPhone users. This is a kit with all of the things you will need for endless possibilities of picture taking. 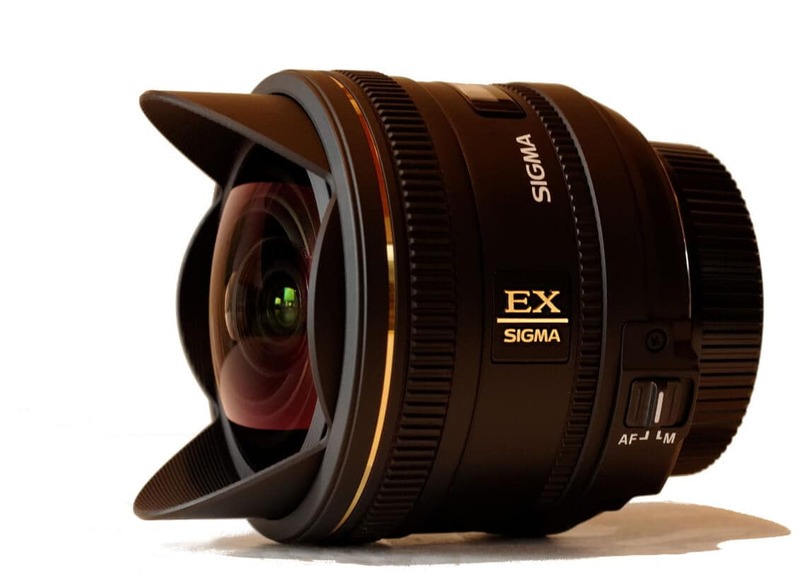 With this kit, you are not restricted to just one type of lens. Including a 0.65x wide angle, a 10x macro and a fisheye lens. Other than this you get two lens clips, two lens caps and a small carry bag along with very helpful instructions on how to mount the lenses to the lens clips which are very necessary as it is a very sensitive process. This kit has you all covered. Below is a comparison table to provide you with more detail. 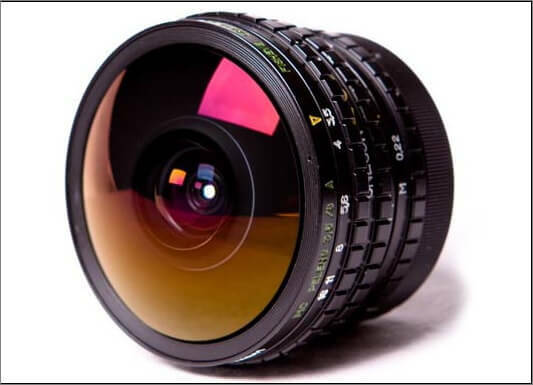 Looking at all the details and different types of fisheye lenses, we can see that there is a wide variety of kits available with different kinds of lenses. Some of which are pricey and some are cost effective. This invention makes photography much easier without the extra hassle to carry our expensive cameras with us. These are easy to use and handle, even carrying them is so easy. It helps you discover the art of photography in such a unique fashion which literally cannot be captured with the human eye. For all of you out there who cannot work with professional cameras but have an undying passion for professional photography, these kits are the best choice for you. In case that your video footage is shot by some professional action cameras and you don't want the fisheye effect apper, you can correct the lens distortion.